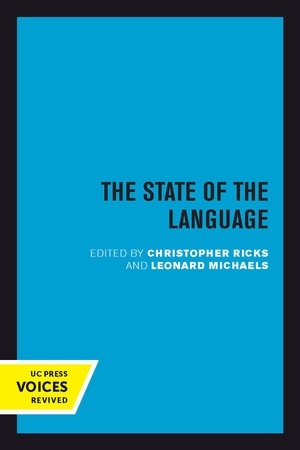 The State of the Language New Observations, Objections, Angers, Bemusements, Hilarities, Perplexities, Revelations, Prognostications, and Warnings for the 1990s. "Sprawling, uncoordinated, uneven, noisy, and appealing," wrote one reviewer of the first edition of this book, published on 1 January 1980. "The language is in rude health," wrote another. 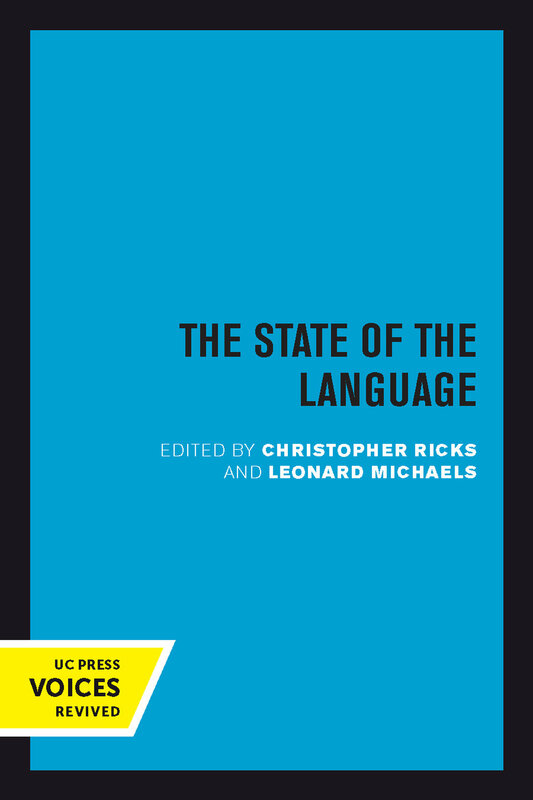 Exactly a decade later, here is the book anew, with the same editors but with fifty fresh contributors writing essays and poems that engage our language today. Imaginative attention is bestowed on the changes of recent years, changes not only in the language but in how language is understood. In the forefront are the relations between British English, American English, and those other Englishes with which they compete or cooperate. The nervous negotiations of gender and feminism. The darkness of AIDS. The bright flicker of the computer. The old smolderings of "standard English" and correctness. The "bad language" that has lately done so well in our society. How all this has been politicized—or is it rather that its inevitably political nature has only now been recognized? Here these and many other facets of the language catch the various light. What has changed is understood in relation to what has not changed, and what has been gained in relation to what has been lost. There is sweep as well as detail, telescope as well as microscope, in this contemplation of the world of our language as it enters the world of the 1990s. The State of the Language has been prepared in cooperation with the English-Speaking Union of San Francisco. Talking Black by Henry Louis Gates, Jr. This title is part of UC Press's Voices Revived program, which commemorates University of California Press’s mission to seek out and cultivate the brightest minds and give them voice, reach, and impact. Drawing on a backlist dating to 1893, Voices Revived makes high-quality, peer-reviewed scholarship accessible once again using print-on-demand technology. This title was originally published in 1980. Christopher Ricks is a critic and scholar of Milton, Keats, Tennyson, and T. S. Eliot, and the Warren Professor of the Humanities at Boston University. Leonard Michaels is a novelist and short story writer, and teaches at the University of California, Berkeley.